Strength Training. We all could benefit from it. But who has time for it? What if you’re still fairly new to fitness or running and don’t want to invest in hundreds of dollars of equipment? What if you don’t like the idea of going to a gym and ‘performing’ exercises for the whole world to see? Enter Krista Stryker, creator of 12-Minute Athlete, a High Intensity Interval Training (HIIT) workout regimen consisting of incredibly short, effective workouts based on calisthenics, cross-training and functional fitness. 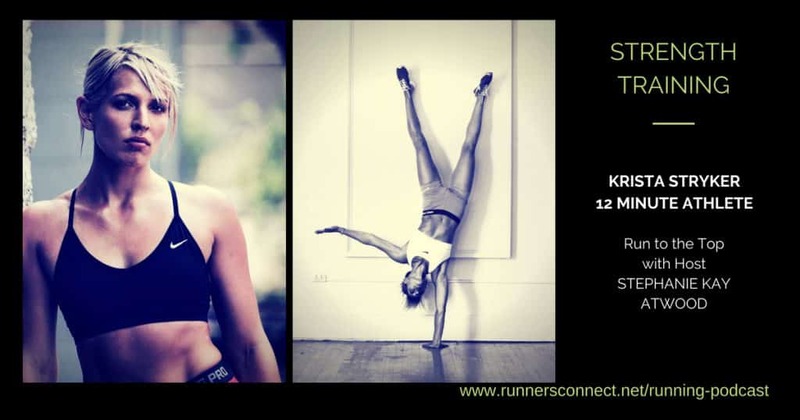 Krista loves to do bodyweight exercises, and working out in the outdoors if at all possible. She has gone from being barely able to do 3 simple push-ups, to mastering headstand pushups and scores of other challenging exercises. But, it’s ok if you’re not quite ready for single-leg pistol-squats; 12-Minute Athlete can meet you where you are and help you build strength you may have never thought possible. 12-Minute Athlete offers multiple new exercises per week, nutrition advice, strength training programs and more, which can all help you with your running goals and reduce your risk of injuries. 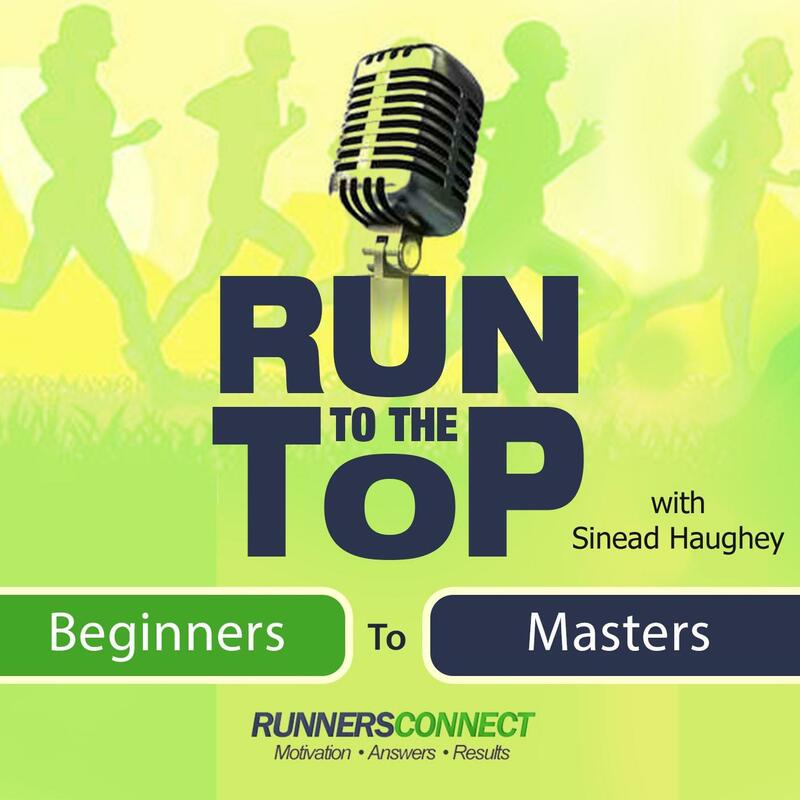 In this episode, Krista goes over: workouts and exercises for runners, beyond just running; how to use an interval timer and exercise rotation to maximize efficiency; and how she approaches nutrition. 4:57 What was your early athletic experience? 8:43 How did you get into HIIT? 10:31 How can people use the outdoors for better workouts? 12:46 How fast can you walk a couple miles? 13:59 What is the structure of 12-Minute Athlete and how can people use it? 17:44 Do you ever compete? 19:24 How did your experience of being put on the “C-Team” for grade school volleyball impact you? 21:56 What are some benefits of working with a coach? 24:49 What type of workouts would help runners? 25:59 What kind of weight training would you recommend to help with sprints and speed workouts? 29:41 Can you really get a legitimate workout in just 12 minutes? 32:21 How can upper body strength help runners? 33:58 What is your nutritional philosophy? 35:55 What do you enjoy about reading Haruki Murakami? 37:36 How do you stay fit without running? 40:16 What are some of your newer activities that you’re doing? 41:12 Any parting words of humor or wisdom?